The viral #Neknomination from Australia, an extreme social media drinking game, involves challengers downing alcohol, posting videos online and nominating others to outdo them. South African, Brent Lindeque, turned the game on its head, “Downing a can of beer is easy… imagine if we all harnessed the power of social media to make a difference in real people’s lives,” says Lindeque. SA’s Nathania de Kock, #Neknominated Joost van der Westhuizen and her J9 Foundation colleagues. The #J9MomentsOfMagic initiative to give people suffering from Motor Neuron Disease (MND) a ‘once in a lifetime’ experience was launched. Stuart MacFarlane, had always dreamed of taking his wife, Leoni and their three small children: Amy, Christopher and Duncan, to see Victoria Falls – one of the 7 Wonders of the World. But Stuart was diagnosed with MND in October 2011, and the family finances were quickly absorbed by medical bills. This #Neknomination, changes that because The Bead Coalition, creator of the beaded MND bracelet, has just made Stuart’s dream a reality, with an all-expenses paid family holiday to Victoria Falls. 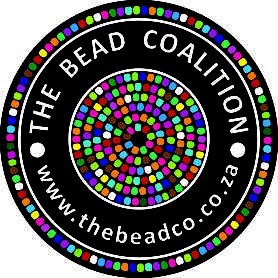 “We are so grateful to The Bead Coalition for their generous sponsorship,” says Joost vd Westhuizen, who has some #Neknominations of his own. Joost and the J9 Foundation further nominate, Barend van Graan, CEO of the Blue Bulls, Gavin Varejes, CEO of Richmark Holdings and J9 Director, along with fellow trustee and Blink Pictures Director, Odette Schwegler. #Neknominees have 24 hours to ‘make good’. The Bead Coalition (Pty) Ltd, the commercial beaded bracelet enterprise, best known for the unprecedented success of the RHINO FORCE bracelet, celebrated its partnership with Joost van der Westhuizen’s J9 Foundation with a donation of R60,592.00. 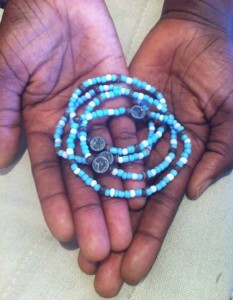 The bespoke MND bracelet, hand-beaded by previously disadvantaged women in rural Africa, will be sold worldwide to raise global awareness and funding for Motor Neuron Disease (MND). MND is a degenerative disorder of the motor neurons which control voluntary muscle activity such as speaking, swallowing and breathing, resulting in gradual weakening, wasting, and twitching of the muscles. J9 Foundation offers patient support through the ‘MND Patient, Family, and Caregiver Quality of Life Program’, including home visits, requests for information, referrals to specialists such as counsellors, attorneys and building contractors, depending on the needs of the patient and family. Their approach draws from hands-on experience, as they continually strive to understand the overwhelming dynamics that MND families endure. South Africans can purchase a MND bracelet for R40 each, at all CNA’s Foto-First, Sneakers, Pick ‘n Pay Douglasdale or online at www.beadcoalition.com. Visit www.joost.co.za for more information on J9 Foundation and MND.